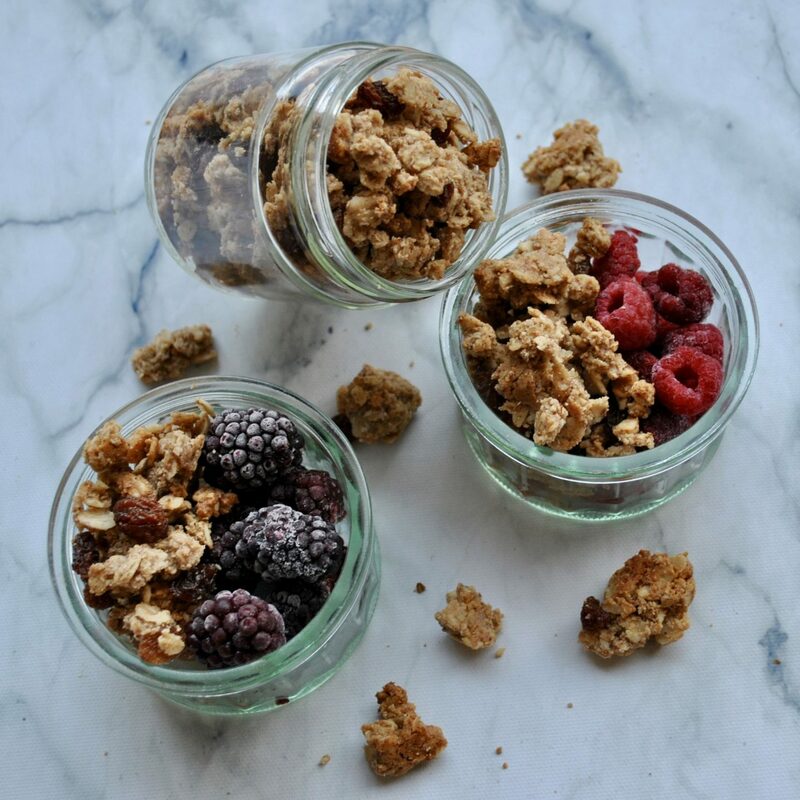 I am beyond excited that you can now order my granola in 10 different flavours! All my recipes are free from dairy, refined sugar and gluten (if gluten-free oats are requested). For bespoke enquiries and variations, or any other questions, please don’t hesitate to get in touch: elibrecher1@gmail.com or send me a message on Instagram @brechernutrition . Please allow a minimum of one week when placing an order, as all items are made to order. Collection from North West or Central London is free of charge, or a small delivery fee will apply (London only). I hope you love my granolas as much as I do! All granolas should be stored in a cool dry place (not in the fridge) and consumed by best-before date on packaging (about 4 weeks). These delicious golden clusters are the perfect balance between sweet and salty. 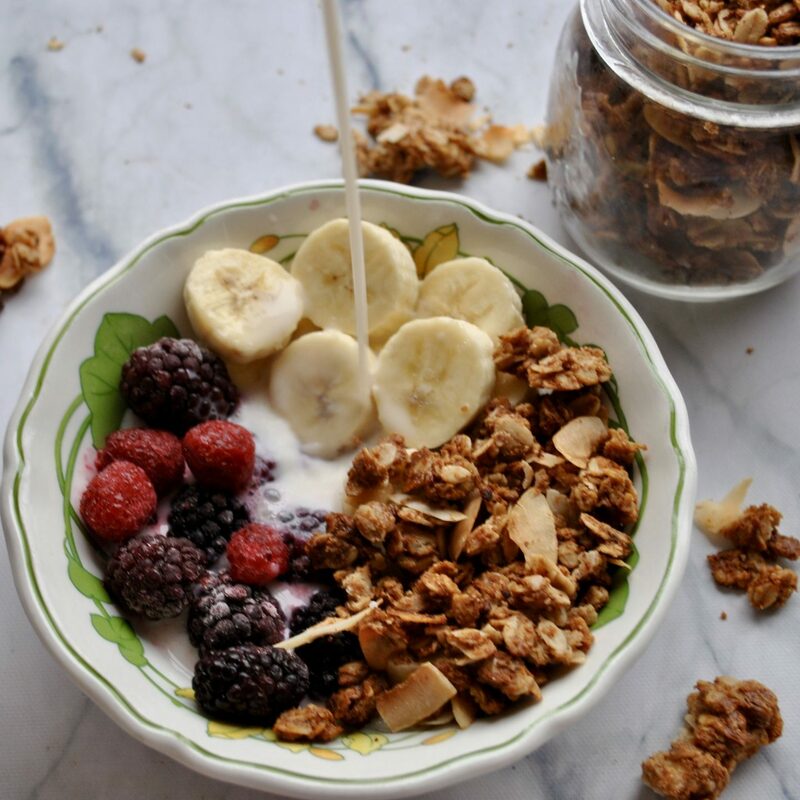 Just add a splash of almond milk and a handful of berries for the best start to the day! Oats, peanut butter, maple syrup, coconut oil, sea salt, raisins (optional), mixed seeds (optional). 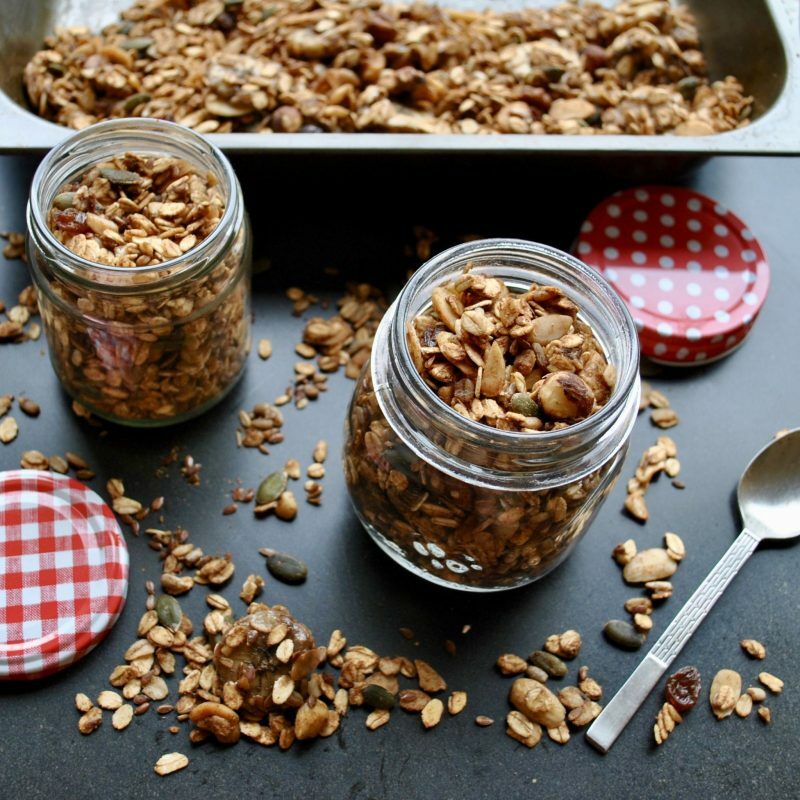 High in fibre and skin-loving essential healthy fats, this granola makes a quick fuss-free breakfast. 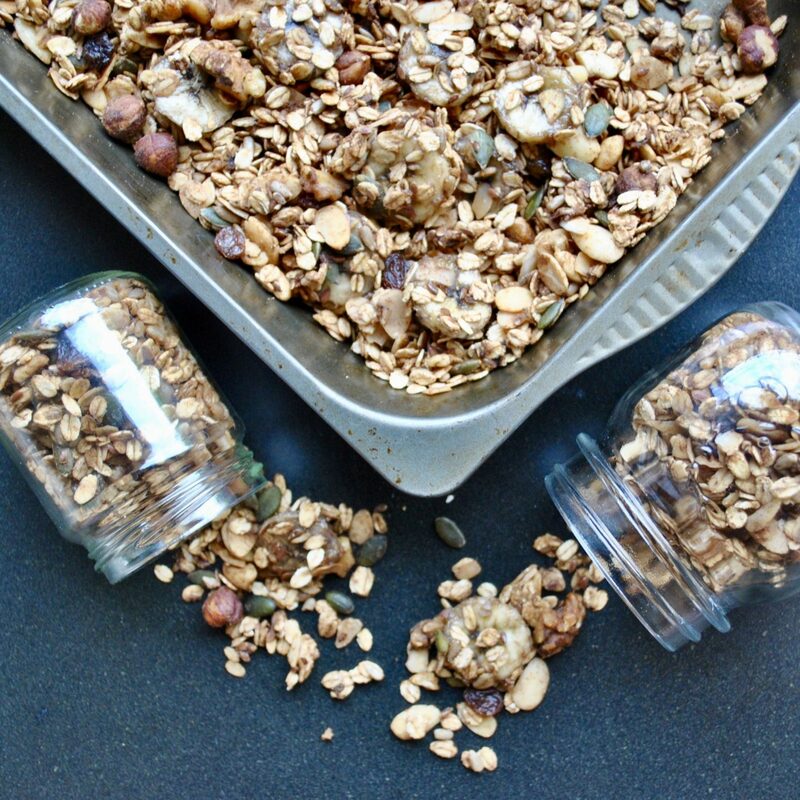 Sprinkle a handful over your yoghurt or eat it straight out the pack! Oats, almond butter, maple syrup, coconut oil, coconut flakes, almonds, vanilla, sea salt. The satisfyingly crunchy texture of the toasted nuts and seeds, together with sweet chewy sultanas, make this a truly irresistible breakfast or snack. Oats, almonds, pecans, flax seeds, pumpkin seeds, sultanas, maple syrup, vanilla extract, coconut oil, cinnamon. 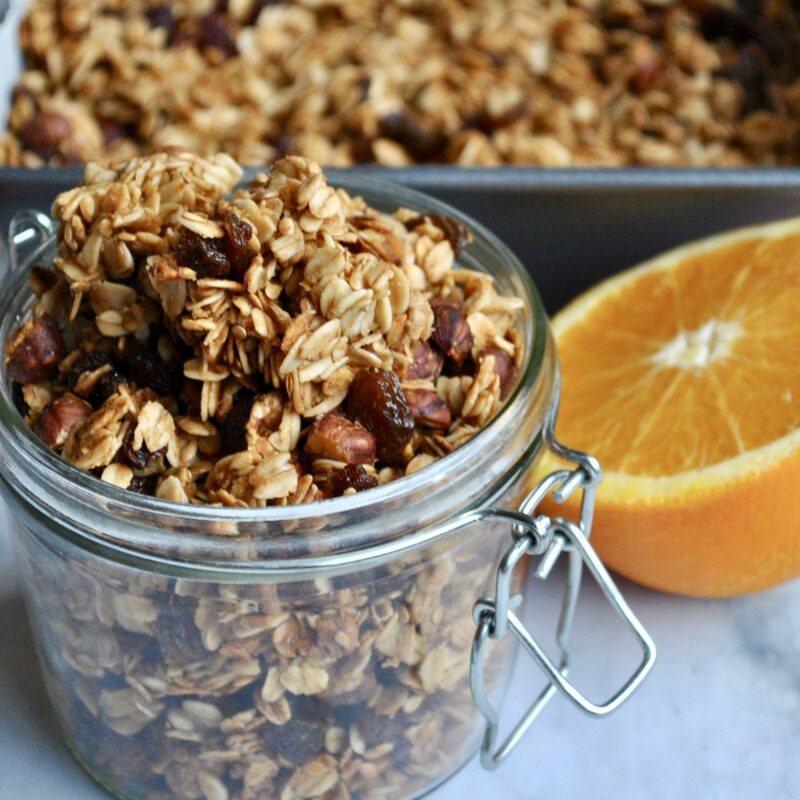 This granola is loaded with warming spices, from cinnamon to ginger, while the cloves and nutmeg give it a little extra kick. A delicious way to get yourself into the festive spirit, all year long! Oats, walnuts, Brazil nuts, cranberries, cinnamon, ginger, nutmeg, cardamom, cloves, rapeseed oil, maple syrup, vanilla, sea salt. 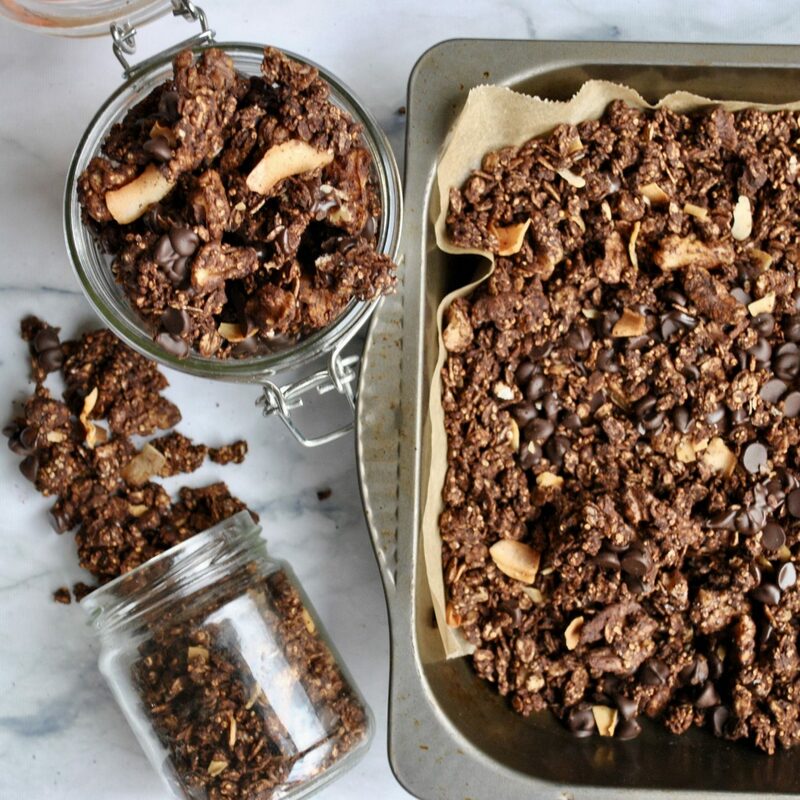 This crunchy, cacao-infused granola is studded with melt-in-your-mouth chocolate chips and is decadent enough to be dessert for breakfast! Oats, quinoa, walnuts, coconut flakes, cacao powder, coconut sugar, date syrup, coconut oil, vanilla, sea salt, dark chocolate chips. 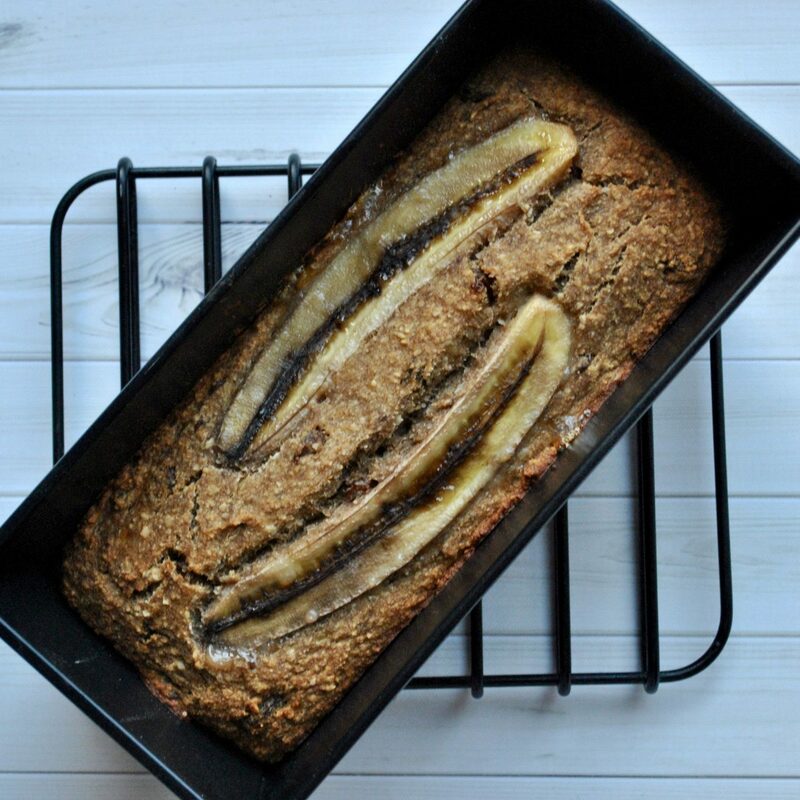 The orange, cinnamon and vanilla in this recipe combine to give a sweet zesty flavour, while the hazelnuts and flaxseeds add a dose of protein and omega-3 healthy fats, making this a nutritiously balanced breakfast. Oats, orange (juice and zest), hazelnuts, flaxseeds, cinnamon, vanilla, coconut oil, honey, sultanas. 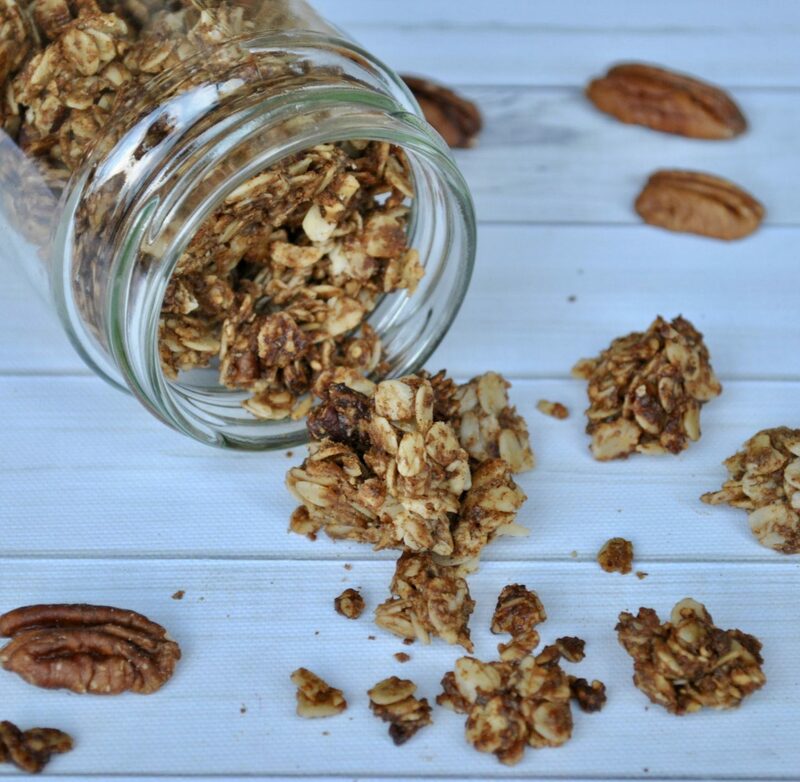 The warmth of the cinnamon, combined with the sweet vanilla and maple, are the perfect complement to crunchy roasted pecans! Oats, pecan butter, pecans, coconut oil, maple syrup, vanilla, cinnamon, sea salt. 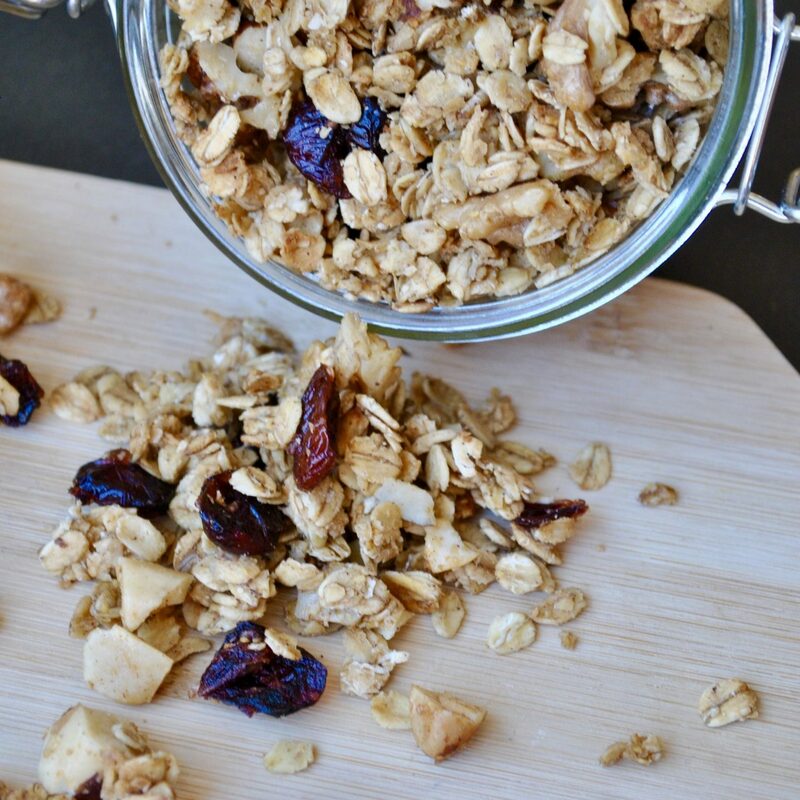 You will go BANANAS for this fruity granola, which is 100% free from added sugars, sweetened with just ripe bananas! Oats, walnuts, hazelnuts, Brazil nuts, almonds, pumpkin seeds, ginger, cinnamon, coconut oil, mashed banana, dried banana chips, raisins, sea salt. 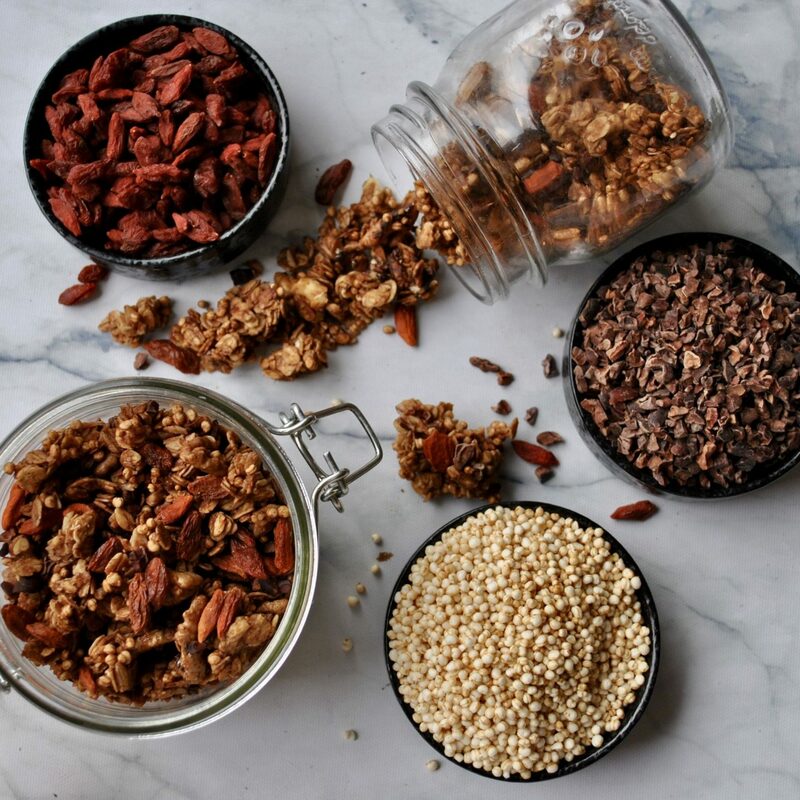 This nutritious granola is crammed full of superfoods, from cacao nibs (good source of magnesium and iron) to goji berries (high in antioxidants), on a base of fibre-rich puffed quinoa and cholesterol-lowering jumbo oats. Oats, puffed quinoa, goji berries, walnuts, cacao powder, cacao nibs, agave nectar, coconut oil, vanilla, sea salt. If you thought chocolate was only allowed after midday, think again! 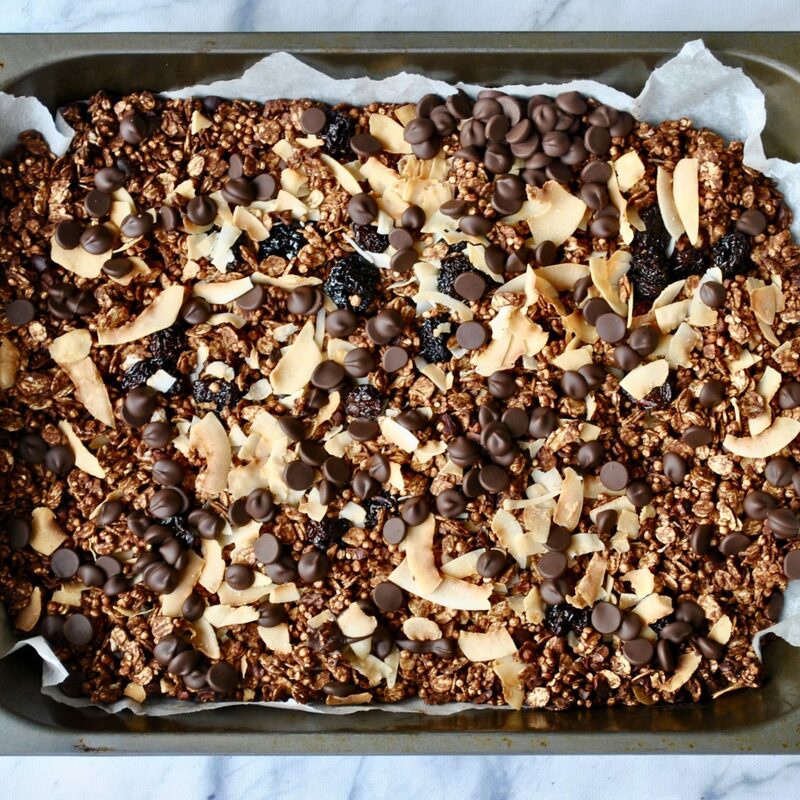 This granola is packed with antioxidant-rich cacao, high-fibre oats and protein-rich quinoa. Oats, puffed quinoa, dried cherries, coconut flakes, cacao powder, cacao nibs, coconut sugar, cinnamon, maple syrup, coconut oil, vanilla, sea salt, dark chocolate chips.